Blue eyes get lots of attention, but green eyes are actually a more rare occurrence! 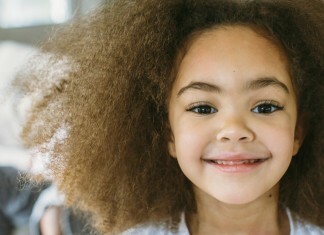 Whether you’ve got pure emerald peepers or brilliant hazel eyes that sparkle brown and green, you’re probably used to getting compliments on them. If you’re looking to put even more emphasis on your eyes, hair color can make a huge difference. 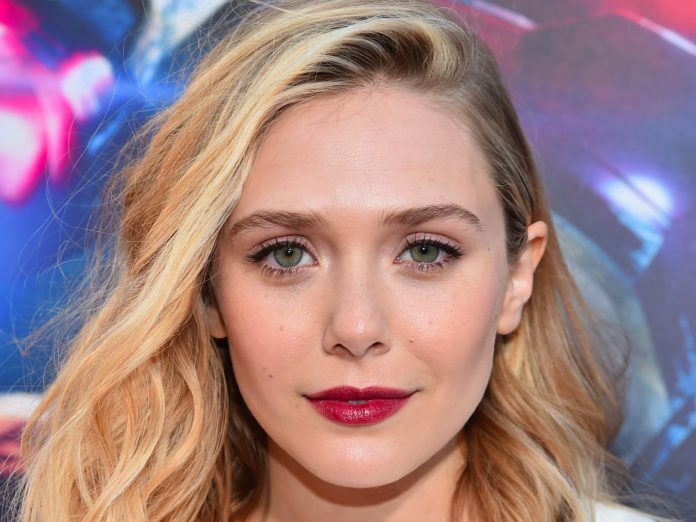 Since nature matches green and hazel eyes with a wide variety of skin tones, we’ve put together a guide to help you pick a hair color that works with your green eyes and your complexion. So whether your skin is fair or dark, warm or cool, you’re about to find the perfect shade to make your green eyes pop. 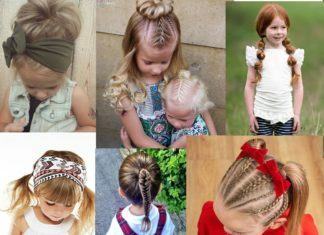 Fair or pale skin looks great with the lightest hair colors, and you can wear shades like platinum and pale strawberry blonde that women with medium or dark complexions may have trouble pulling off. 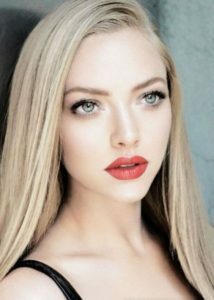 Neutral light blondes and pale shades of red are especially flattering for showing off your green eyes. Colors to Avoid: Very dark shades can make your fair skin look ghostly white. Avoid black, dark brown, and intense jewel tones. Looking gorgeous and natural, this blonde hair is the perfect neutral shade to compliment your fair skin and make your green eyes stand out. Red hair and green eyes is a dynamite combination, but you might find that deeper reds make your fair skin look ghostly white, especially if you’re not a natural redhead. This auburn look is light enough to bring some depth to your complexion, but red enough to put your green or hazel eyes on display. Ultra fair skin is the perfect canvas for the pastel hair trend, as even the most muted shades can add depth and dimension to your complexion. A pastel shade like pink or purple will do an especially good job of bringing out your green eyes. 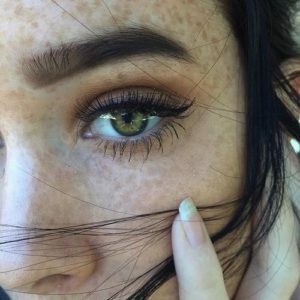 Warm skin tones and green eyes might have you thinking of classic red heads with golden freckles. But green eyes and warm skin suit a variety of shades. 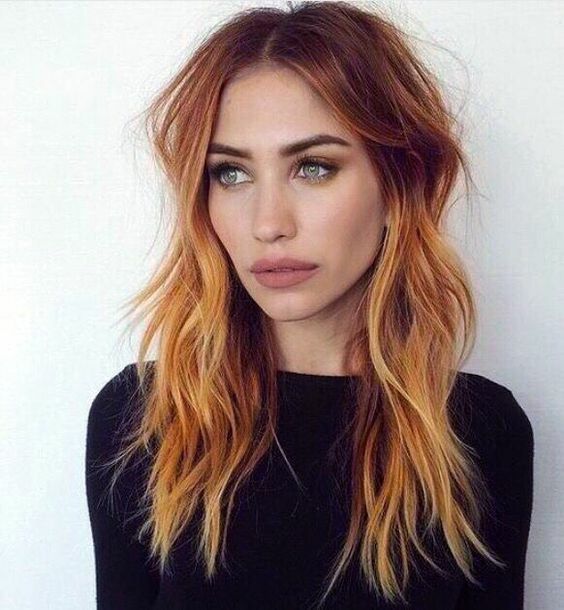 As a general rule, warm skin tones tend to look best with warm hair colors, but this gives you tons of room to play with everything from blonde to black looks. Colors to Avoid: The green tones in ash brown hair can make warm skin tones look yellowy and ill. You’ll also want to stay away from cool reds or anything with a violet undertone. Go for golden blonde if your warm skin is somewhere in the light to medium spectrum. This is a perfect color for summer, and puts your eyes on display in a subtle way. Women with warm skin and green eyes can take their pick of vibrant red hair colors. If you can’t decide on a single tone, opt for something bold and multidimensional like these dark red roots and bright copper ombre. 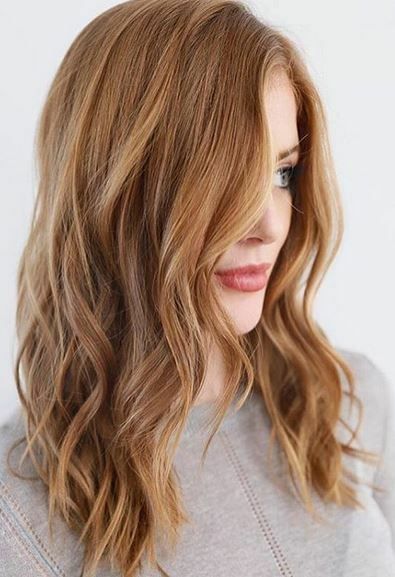 A medium shade of warm brown is a classic choice for women with warm skin tones, while a few notes of caramel highlights help to brighten up the style. To make your brown hair green eyes combination even more striking, try eyeshadows in rich neutrals like taupe and umber. 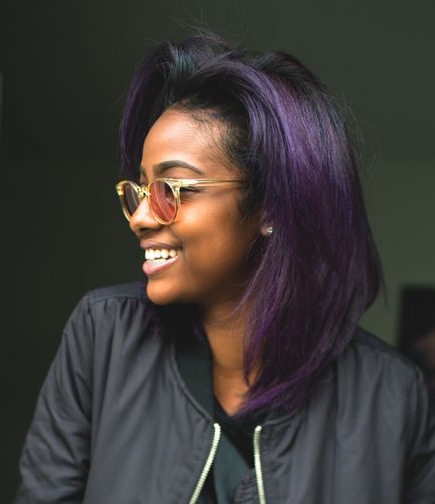 Black hair looks great on darker skin tones, but can wash out lighter ones if you’re not careful. 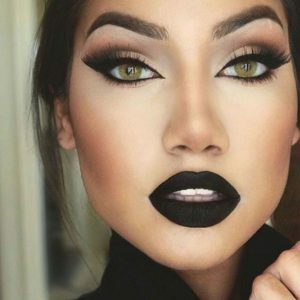 Women with warm skin tones should opt for a pure black instead of one with blue tones, as this more natural color can actually help play up the warmth in the skin. 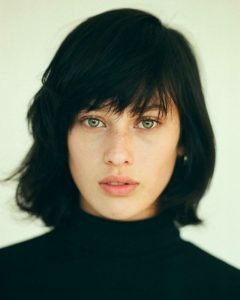 To get the maximum effect of black hair against green eyes, try a hairstyle with bangs like this lash-grazing fringe. 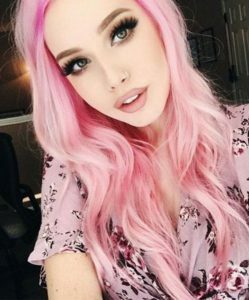 If you’ve got green eyes and a cool complexion, the most striking hair colors will be equally cool shades with enough depth to help your green eyes sparkle. Lucky for you, trendy ash brown shades will look incredible with your skin and eyes, as will cool reds like mahogany and maroon. Colors to Avoid: Hair colors with orange or golden tones (like honey blonde or copper) will make your cool skin look washed out and ashy. 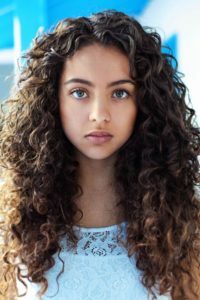 This dark ash brown hair has green undertones that will help bring out your eyes, and goes especially well with fair to medium cool skin that’s got lots of pink in it. Try this moody color if you’re looking for something edgy but sophisticated for winter. Unlike warm reds that have orange and golden tones, this mahogany is full of violet shades. Not only will that violet help compliment your green eyes, but it’ll play up cool pinks in your cheeks and lips. 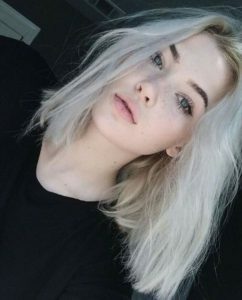 If you’ve got skin that’s cool and light, choosing a white blonde hair color can help bring color to your face and make your eyes stand out like crazy. 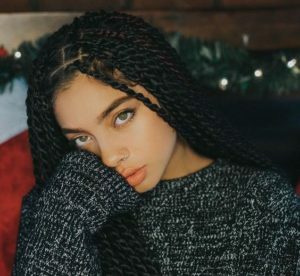 The combination of green eyes and darker skin tones is always striking. 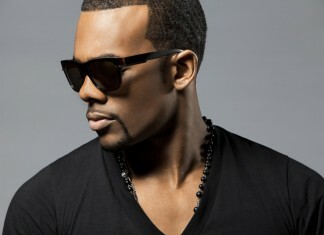 If you’ve got golden dark skin, black or very dark brown hair helps to frame your eyes brilliantly. Women with cool dark skin tones will find that deep shades of blue red are perfect for making their eyes pop, while warm dark skin tones look best with notes of golden caramel in their hair. 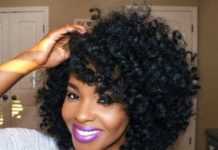 Colors to Avoid: Women with warm, dark complexions should avoid platinum blonde, while dark skin with green undertones generally doesn’t suit warmer shades of blonde or caramel. If your skin falls within the dark tan spectrum, natural black or very dark brown hair provides the perfect striking contrast to green eyes. 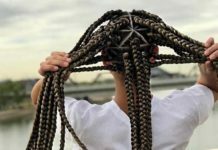 For natural hair that’s shorter, extensions used in box braid or twisted styles can help give you a face framing mane that looks great against your skin and eyes. Rihanna looks incredible in red hair that’s got blue or violet undertones, which actually help to make her skin look warmer. Of course, dark red is the ultimate compliment for green flecks in eyes, and this is the perfect shade for making greens jump out from your hazel eyes. For cool tan skin with green undertones, this medium chestnut brown helps to brighten your complexion and compliments your eyes. 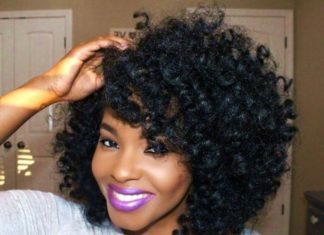 For medium brown skin with golden undertones, a rich jewel tone purple is one of the best unnatural shades you can wear, and creates a brilliant contrast against green eyes. 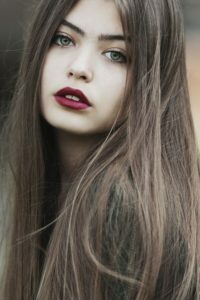 Most women with olive skin tend to gravitate towards brown hair, and shades like dark mocha or lighter caramel are both great choices. But if you’re looking to try something new and risky that will really make your green eyes pop, platinum blonde and rich auburn or mahogany are also excellent choices for women with olive undertones. Colors to Avoid: Cooler olive complexions with green undertones should avoid warm blondes and shades like copper and peach. If you’re a warm olive with yellowy undertones, steer clear of ashy blondes and browns. Olive skin isn’t always warm. 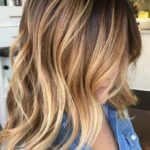 But if your olive complexion is full of yellow undertones, feel free to play them up with a warm mocha brown base color and tons of caramel highlights. This color style is especially flattering for women with hazel eyes, because gold tones in the caramel will pick up similar specs in your eyes. 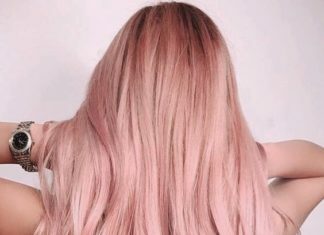 Olive skin and blonde hair can be a tough combination, but it tends to work if you go ultra blonde in a platinum shade that’s verging on white. Blondes that are darker or warmer tend to match your skin too closely, while ashy blonde can make olive complexions look grey. Like blonde, red is a shade that many olive skinned women shy away from. The key is to not choose a hair color that’s close to true red, but something more toned down like cool mahogany or this deep shade or auburn. A hint of red here helps to enhance green eyes, but doesn’t clash against the green and yellow undertones in most olive complexions.